No shade of yellow is impossible to use, but do choose with care. But while yellow is having a moment, many shades of it can be challenging to use successfully. We’ve asked Huh and two other design experts — Andrew Howard, an interior designer based in Florida, and Kayla Kitts, managing editor of special projects for HGTV.com — to share tips on using this sunny, cheerful color. A recent report by Zillow Digs found that homes with white-painted kitchens sell for $1,400 less than homes with yellow ones. If yellow walls seem like too big a leap, Howard suggests using yellow for upholstery and pillows or for kitchen cabinets. In addition to kitchens, Huh said, yellow is catching on for entries and hallways ‘‘because it makes these utilitarian spaces cheerful.’’ In hallways, it adds a sense of sunshine in a space with little natural light. Kitts suggests using yellow in ‘‘small, more compact spaces that you’re looking to make larger,’’ like a powder room. She also said you might want to reject conventional wisdom that yellow is too bright and busy for a bedroom, especially if it doubles as a home office; a warm yellow can energize the space, while still feeling relaxing. 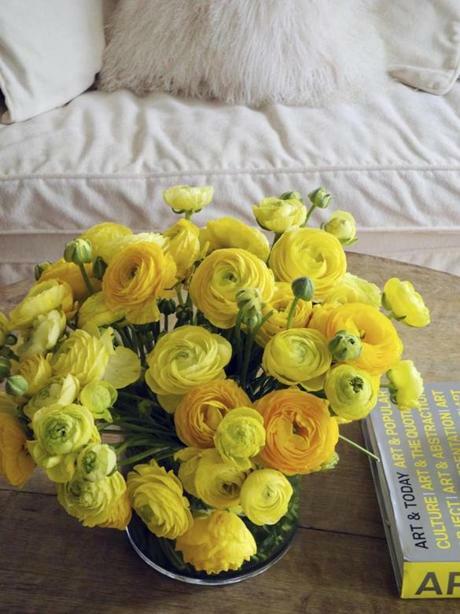 Shades of yellow are increasingly popular in home decorating and can bring a welcome burst of warmth to cooler, neutral spaces, as seen in this tabletop decorated with a vibrant yellow floral arrangement by New York-based interior designer Young Huh. Kitts and Huh are both fans of the more citrusy yellows, and even chartreuse. Kitts agreed: ‘‘Buttery shades are really great for adding a warm glow and making a space feel cozy.’’ In rooms that get a lot of natural sunlight, she said, even more neutral yellows like cornsilk will offer that optimistic energy that characterizes yellow. Dramatic touches of yellow bring warmth and energy to contrast with the crisp whites and soft, natural wood tones in this relaxing sunroom by New York-based interior designer Young Huh. No shade of yellow is impossible to use, but do choose with care. If you are painting walls yellow, Kitts said, test a shade and view it throughout the day to see how it changes in different types of natural light and with different lamps. You might have to live with a sample of a bright lemon yellow for a few weeks to make sure it’s something you want long term. Yet going with paler yellows isn’t always a safer bet. So take time to choose shades that delight you. 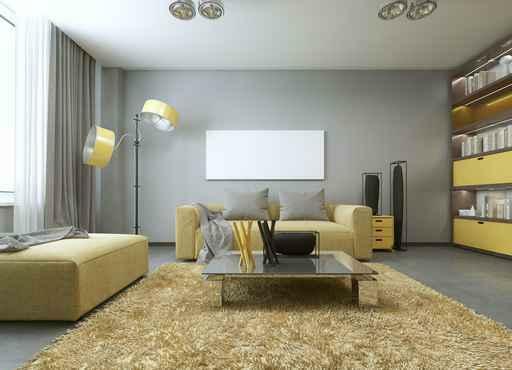 Despite its challenges, yellow is an easy color to love, Howard said.